Conceive illustrated editorial around the theme of women in roles traditionally thought of as reserved for men. Concept and editorial by OLGA Agency. 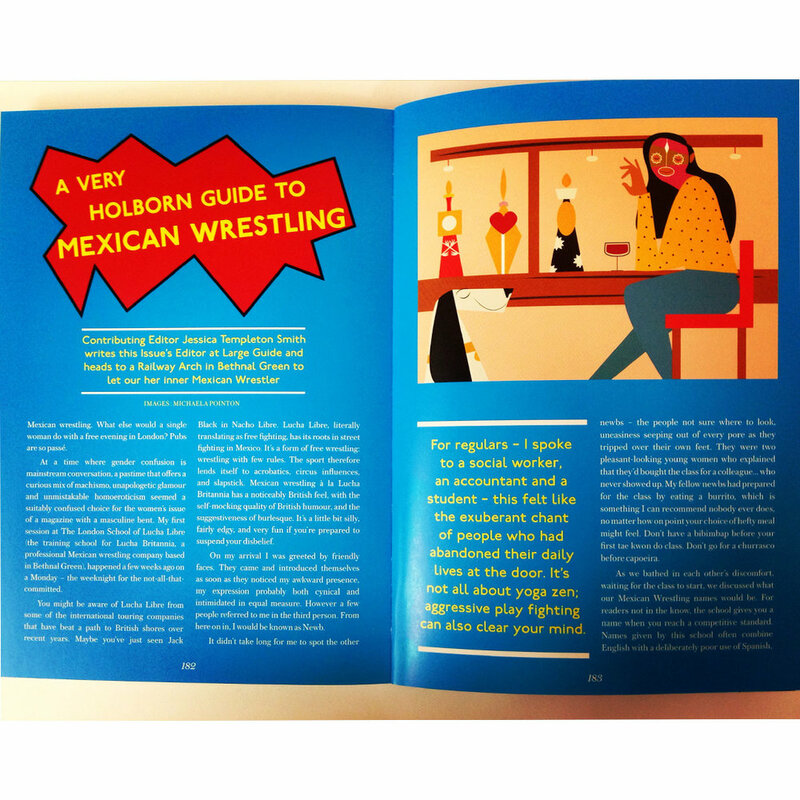 Photography by Anaïck Crozon (bar managers); Diana Patient (Sophie Walker); Illustration (Mexican Wrestling) by Micaela Pointon. With responsibility for the magazine’s drinks section we interviewed and photographed some of the best women bar managers in the business. 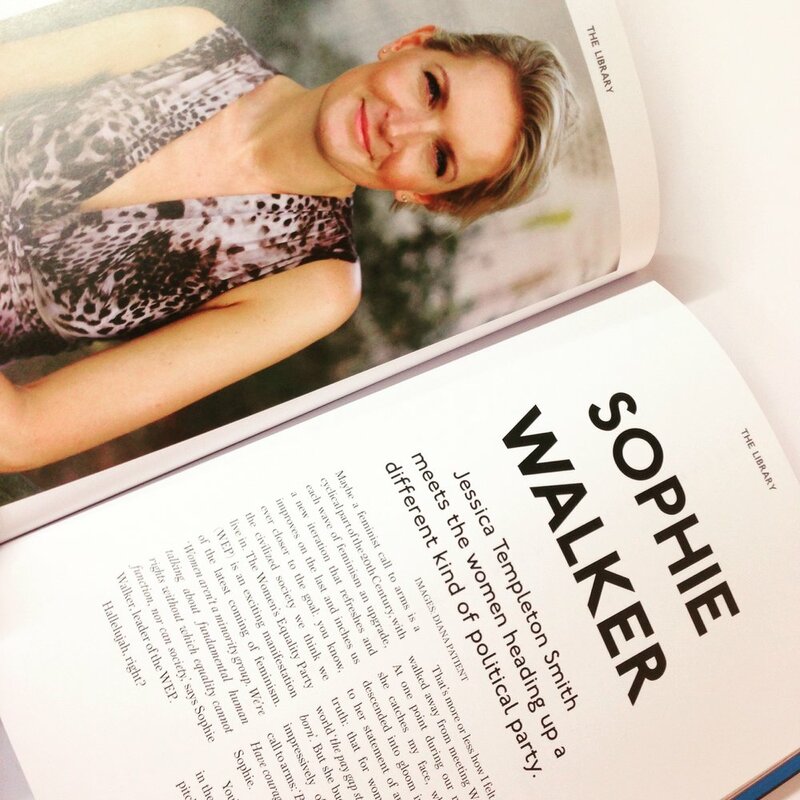 Outside of the drinks section, we arranged and conducted a photo interview with the leader of the Women’s Equality Party, Sophie Walker. Our work involves collaboration with PR teams, interview skills and working with photographers on location and in the studio. We provide ongoing editorial direction to The Holborn Magazine, and produce editorial content through interviews and opinion pieces, and collaborate on events.